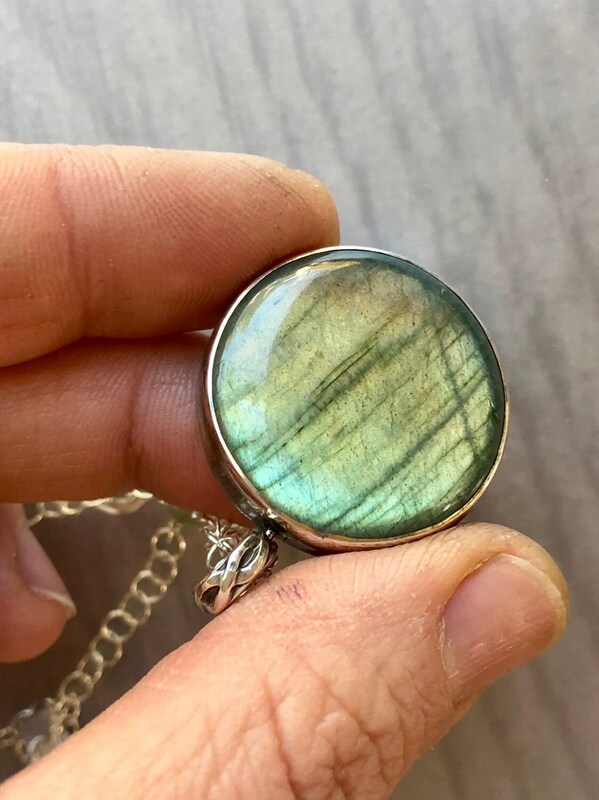 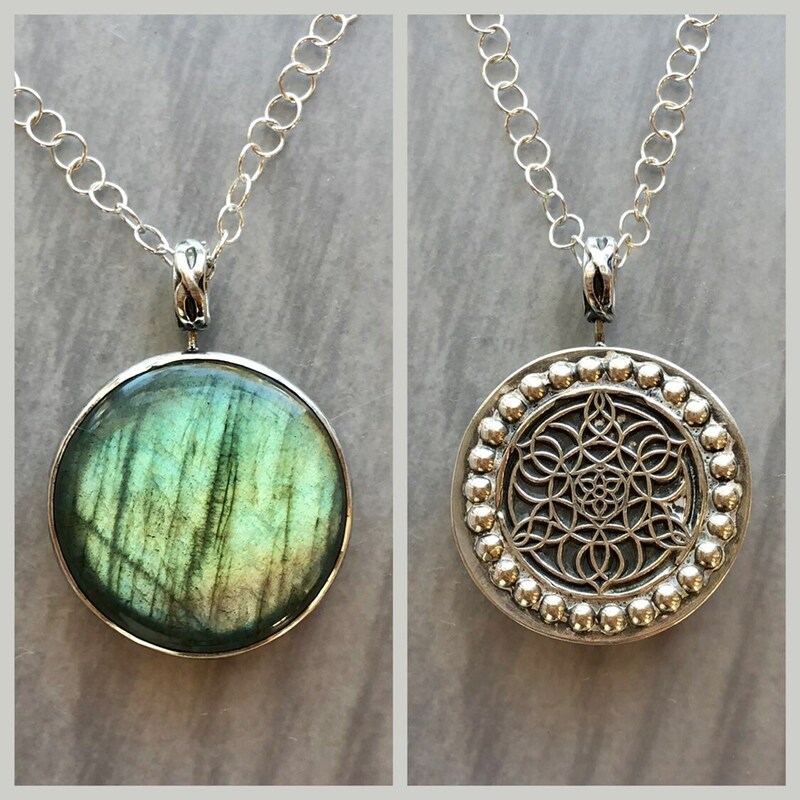 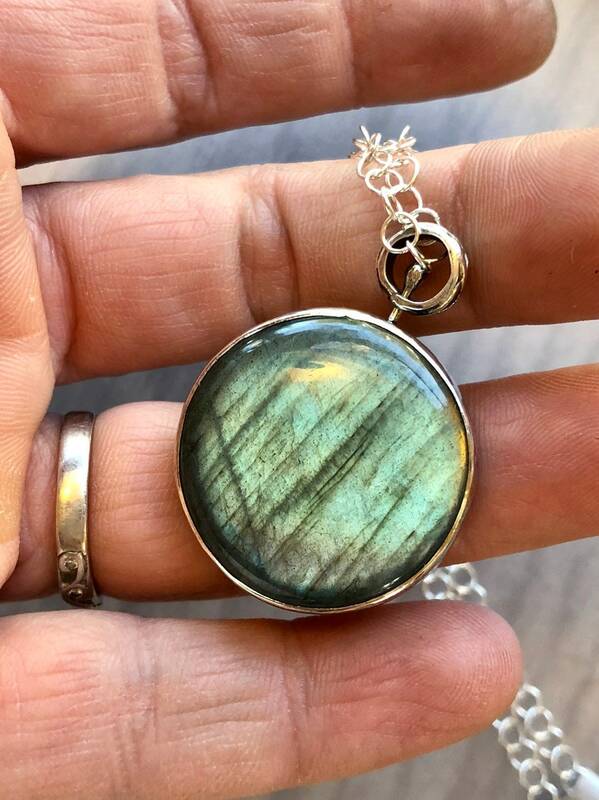 A large green and gold exquisitely flashy labradorite stone covers one side of this pendant, and on the other side is a curvy, geometric mandala. 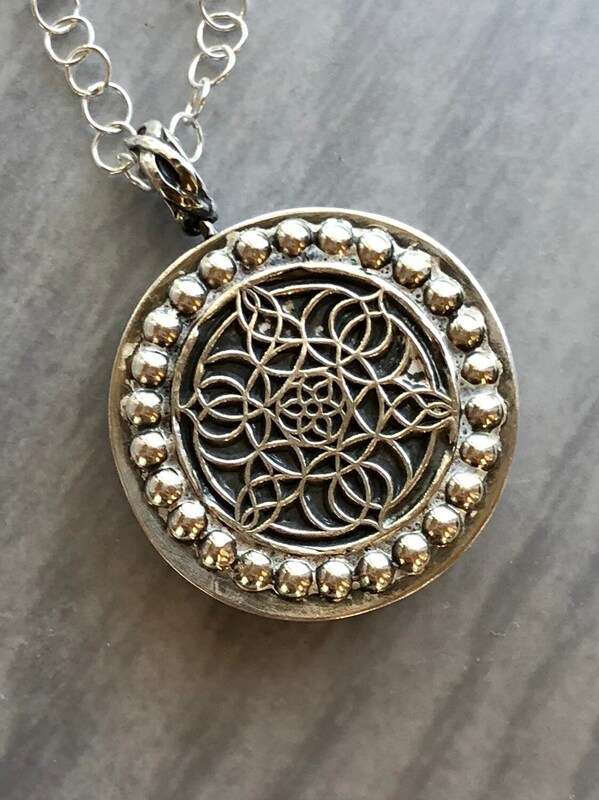 This spinner pendant is wearable with either side to the front, and the unique bail enables the pendant to turn freely without removing the chain. 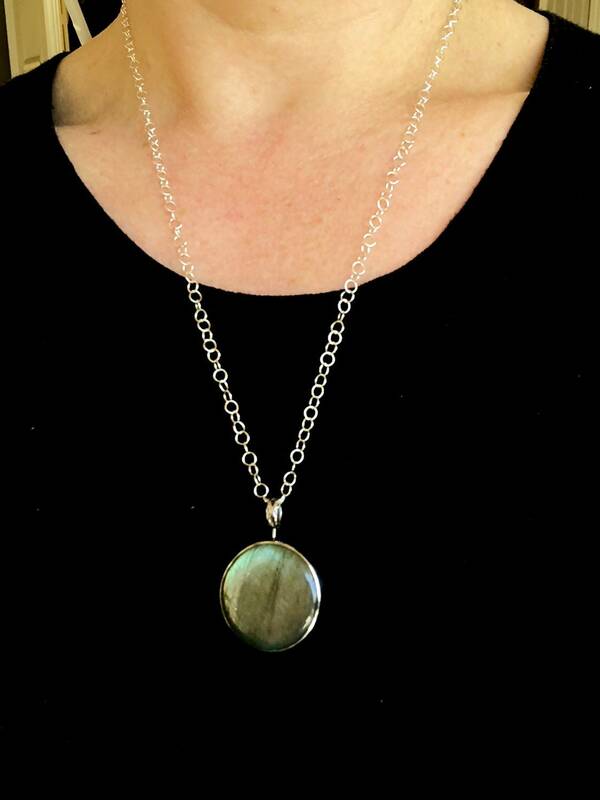 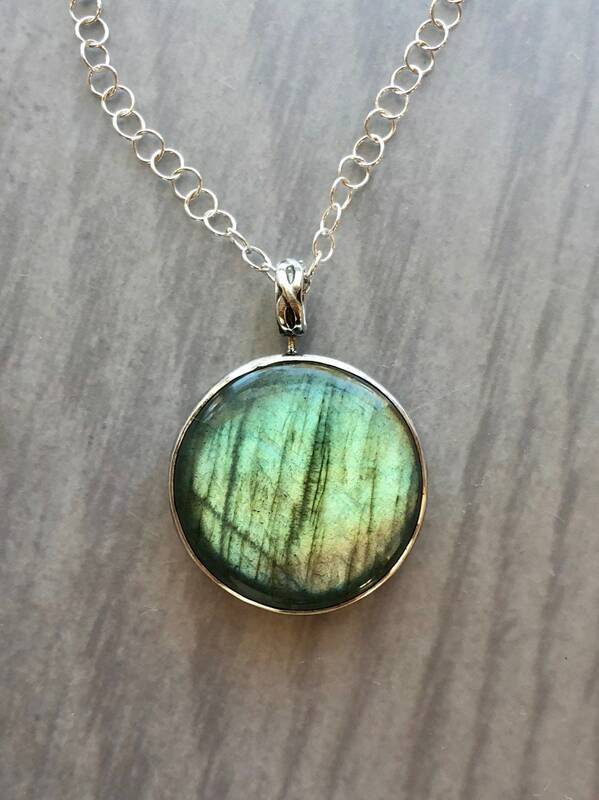 • The labradorite measures 26mm in diameter and has exceptional green and gold flash. 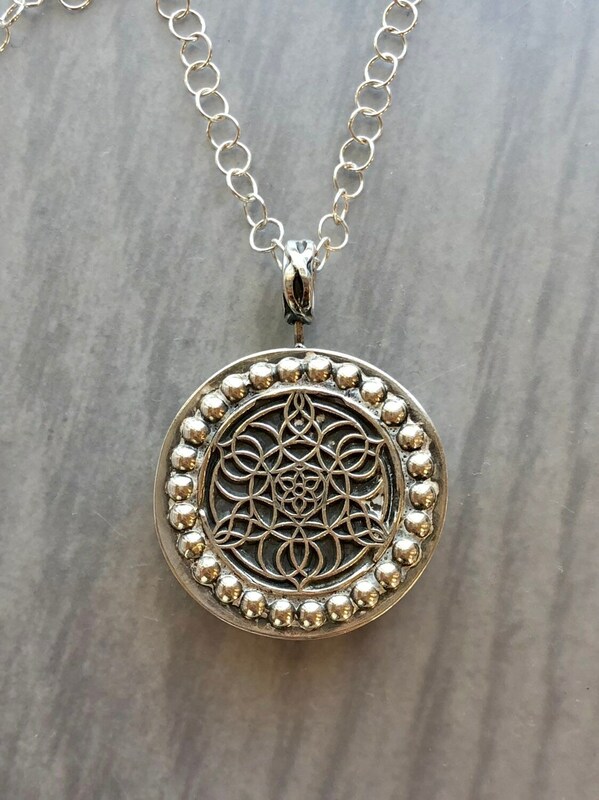 • The mandala has been molded out of fine silver PMC and torch-fired. 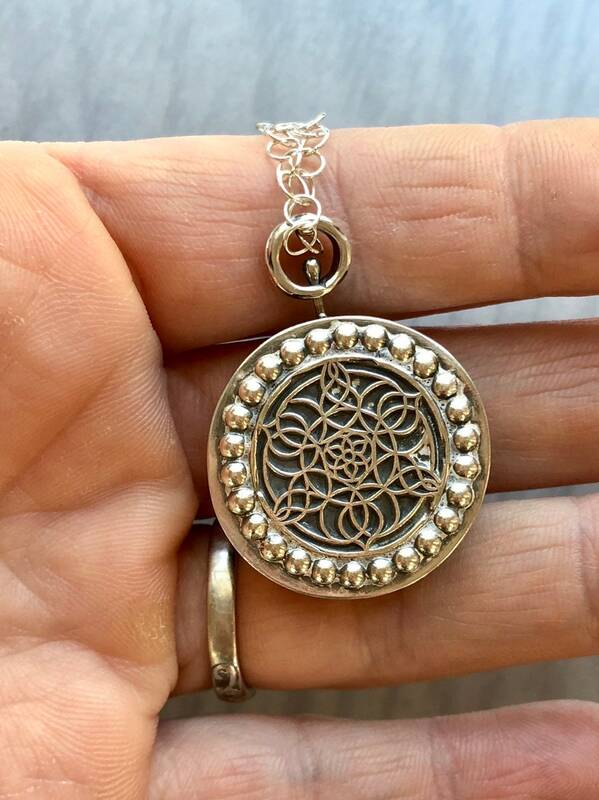 • The sterling silver round-link chain is 23” long and can be shortened upon request. 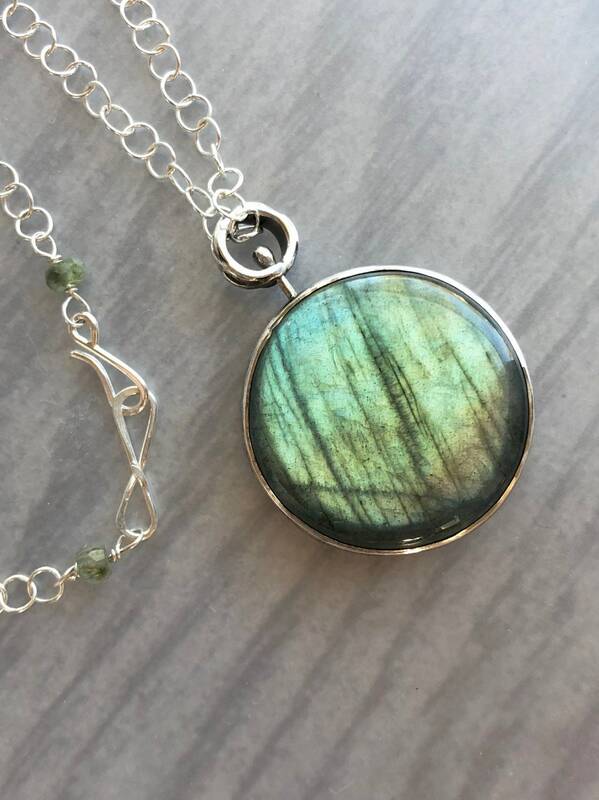 • Small green sapphire rondelles connect the chain to the handmade hook-style clasp.